The SuperBright technology with matte finish maintains the vivid colors in your movies, photos and videos while reducing glare. Typical 1366 x 768 HD resolution. Energy-efficient LED backlight. Provides dual-core, four-way processing for maximum high-efficiency power to go. The Intel Turbo Boost technology delivers dynamic extra power when you need it. The adequate high-bandwidth RAM lets you smoothly run multiple applications and browser tabs all at the same time. While offering less storage space than a hard drive, the flash-based SSD has no moving parts, resulting in faster start-up and data access times, no noise, reduced heat production and power draw on the battery. The third-generation on-board graphics provide proficient image quality for Internet use, photo editing, video streaming, and casual games. Lightweight design, featuring a slightly smaller screen for improved portability. The built-in high-speed wireless LAN connects to your network or hotspots on the most common Wi-Fi standards. The Gigabit Ethernet LAN port plugs into wired networks. VGA port (D-sub). DisplayPort. Headphone-out/audio-in combo jack. 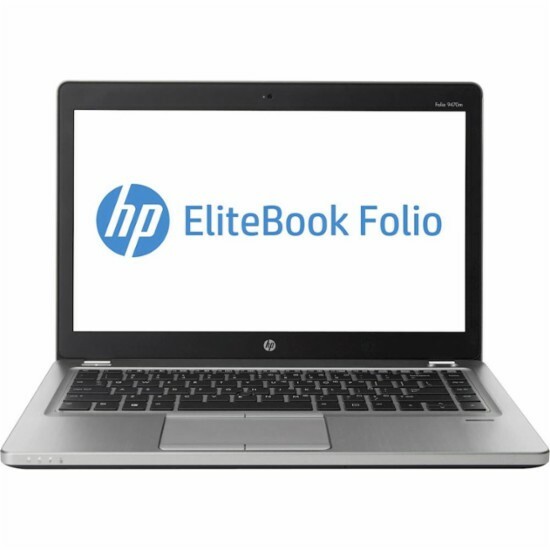 Click the button below to add the HP - EliteBook Folio 14" Refurbished Laptop - Intel Core i5 - 4GB Memory - 128GB Solid State Drive - Silver to your wish list.